FXML composition – how to get the controller of an included FXML? 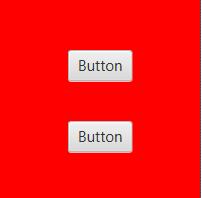 The possibility to declare the UI with an FXML in JavaFX is pretty cool. In bigger applications you have to split the views in different FXMLs which allows you to reuse and compose them in complex FXMLs. Therefore you have to use the <fx:include> statement. The include enables you to get the reference of the embedded view element in your FXML-controller class. Be sure that you use the value of fx:id as the name of the member in the controller class. The FXMLLoader will pass the reference once the View was created. 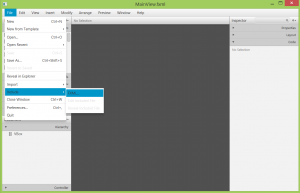 Ok, we have the reference of the view element, but how can we get the reference of the embeddedView’s controller? The solution is a naming convention which you can find here. 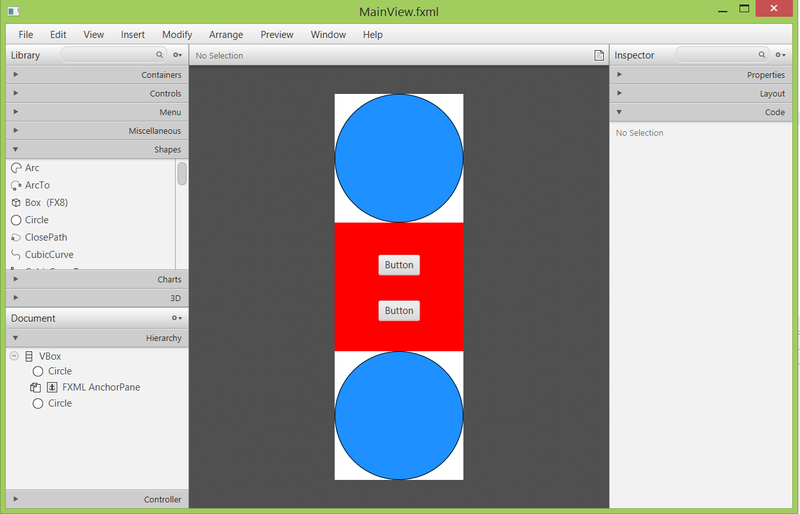 Second Step: Create the View which should embed the RedView.fxml. It’s not problem to do this using the Scene Builder. If you are using the developer preview of the Scene Builder 2, you may have problems to set an fx:id to the included elements – in this case add the fx:id attribute directly in the fxml code. embeddedRedViewController.foo("It works"); //Console print "It works"
As you can see, we can get the reference of the nested controller by appending the word Controller in addition to the variable name of the embedded element. Let’s try it – create an JavaFX application which loads the MainView.fxml and you’ll see the printed message on the console, which prooves that we accessed the reference to the FXML-controller of the embedded FXML element.